Elite Employment Services, LLC is a leading provider of value-added staffing services in Administrative, Light Industrial, Skilled Industrial, and Construction. We are committed to providing the very best staffing services our industry has to offer to both large and small companies. Our main goal is to provide the highest quality service while eliminating all of your staffing needs at a competitive rate. 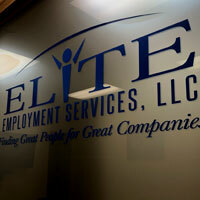 Elite Employment Services, LLC is passionate about providing outstanding candidates to our clients. We do this by assessing candidates by their skills and backgrounds, but most importantly by conducting face to face interviews and getting to know our candidates on a personal level. We are based out of Laredo, Texas and currently servicing all of South Texas including McAllen, Harlingen, Brownsville, and San Antonio.